No one wants to stagnate. We all want our businesses to grow. Join us as Becky shows us some ways to grow our businesses. Hint: it's not just about bringing new business in the door. It's also about keeping customers around for the long term. 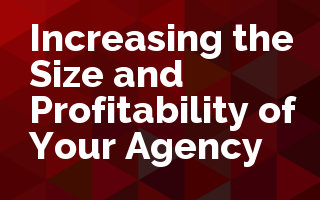 If you want to increase the size and profitability of your agency, you need to attend this class. You will learn why strategic planning is critical to your success, factors to consider in agency planning, and setting financial goals to achieve profitable growth. We will also discuss how to improve new business and retention activities, through how to build lasting relationships with clients. Here's what you'll take away from this session. The importance of Overall Agency Planning and how to establish financial goals. Establishing New Business and Retention activities to grow your agency. Find out what today's client looks like and what they expect from insurance agencies. Learn to build lasting relationships with clients by making it personal.